Medical billing specialist, part-time assistant coach, part-time van driver, and part-time head coach to architect of the SWAC’s most successful bowling program in this decade; is that Superman? No, we’re talking about Prairie View A&M’s Glenn White. On the day of Prairie View A&M’s first-ever NCAA Championship appearance in Houston, (Friday, Apr. 5) we reflect on the trials and tribulations White had to endure to build a championship caliber program from the ground up. An avid bowler who owns a pair of 300 games, it was fate which brought together Coach White and the Prairie View A&M bowling team back in the early 2000s. He previously served as the operation manager and co-chairman of The Village Express Bowling Association which managed local tournaments and the first-ever NCAA women’s bowling Championship in Houston in 2004. Having seen Prairie View A&M bowl on several occasions, White saw an opportunity to make an impact from the ground floor as he encountered a hungry group of young bowlers with a desire to learn. Once White finished his day job processing medical bills in central Houston, he would head 40 miles north to Tomball, Texas to meet the team in the evening at its off-campus practice site. After helping out, he caught the eye of Prairie View’s administration at the time and was offered an opportunity to serve as the team’s assistant coach. Several years later, he was handed the keys to the program as the team’s head coach. Even though White was the head coach, it was on a part-time basis as he still worked in Houston during the day. White had no office on campus, and team meetings would take place in whatever space was available. By the time White would arrive from Houston to take the team to practice in Tomball (140-mile round trip), the campus was closed which prevented him from developing key contacts and relationships with on-campus personnel. Scholarship dollars were also low as he had a budget of around $15,000 to split among his team while most of the successful programs in the SWAC had budgets much larger. He felt the impact as his first recruiting class was wiped out due to homesickness, grades, and NCAA eligibility. However, that didn’t deter him from rolling up his sleeves and getting to work on building the program. The team gravitated to White as they made slow but steady progress by winning individual games after going winless for the past few years. In 2008, the team qualified for the SWAC Championship for the first time since 1998. Before the 2008-09 season, White felt the team was turning the corner as he caught the eye of the nation’s most successful bowling program in Nebraska. White was taken aback by the invite as he wondered why a program the caliber of Nebraska would invite Prairie View to a tournament where every team was ranked with national championship experience. After the invite was made, White fought for the opportunity to attend the tournament as he felt it could benefit his program long-term. Still coaching the team on a part-time basis with a limited budget, he convinced the administration to attend and made history by flying to Nebraska. Once the team arrived, White shocked the bowling world by defeating No. 1 Nebraska to open the tournament. The win paid dividends for White as the team started to generate headlines as the university and alumni began to show a larger interest. Before the season, White began talks about possibly turning his position into a full-time slot, but a change in athletic directors slowed the talks down. After the win, White had an opportunity to share his vision with new athletic director Fred Washington. 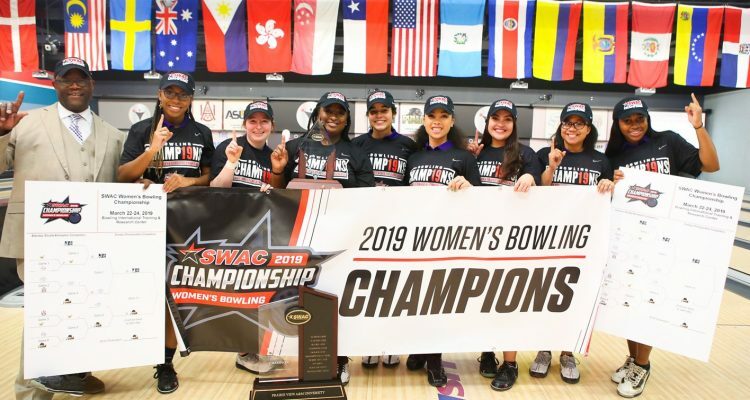 Washington agreed, and the PVAMU bowling program had its first full-time bowling coach in program history one season later. Once White began to get entrenched on campus, things changed overnight as recruiting picked up tremendously in addition to the way the program was perceived on a daily basis by its peers. In 2010, the program was back in the SWAC Tournament and made history with their first-ever championship match appearance against Alabama A&M. AAMU was one of the top teams in the country at the time and made quick work of the Lady Panthers. White said that experience helped develop his team’s mindset on what’s needed to win a championship. In 2011, the Lady Panthers entered with a mission and won their first-ever SWAC Western Division Championship. They entered tournament play and were back in the title game against SWAC West foe Southern University. The team was favored to win on paper, but the team’s youth began to show at the wrong time as Southern beat them twice to win the title. One year later in 2012, the program is firmly established with the first-ever preseason national ranking and its second consecutive division title along with the debut of the highly successful Prairie View Invitational in Arlington, Texas. The tournament will enter its ninth year in 2020 as it’s the top tournament in the country when it comes to skill, talent and strength of schedule. 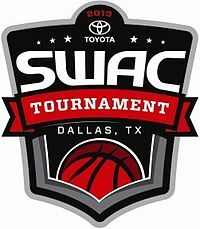 During the 2012 SWAC Tournament, Prairie View was sent to the loser’s bracket in the semifinal round but fought back to face Alabama A&M in the championship for the second time in three years. Prairie View had to win twice to capture its first title, but a veteran AAMU squad with a pair of bowlers on Team USA stood in the way. Prairie View finally got over the hump as they knocked off AAMU 4-2, 4-2 to win the first title in school history. As a result, the program finished the season ranked 19th nationally. “We beat them the first match 4-2, and it sent them into shock,” said White. “I had a team that was hungry, competitive and wanted to win and that willed us into capturing the championship. In 2013, the program’s streak of SWAC Divisional titles came to an end, but the team was back in the tournament championship for the fourth consecutive year after coming from the loser’s bracket. Once again, PVAMU drew Alabama A&M in the title match and battled to the end as they won title number two after a six-and-half hour affair. But to win the championship, the team overcame adversity as its personal belongings were vandalized and stolen in the middle of the match. The tournament championship streak ended in 2014, but White was back atop the SWAC as he won the 2015 title over rival Texas Southern. Staying on top would prove to be tough as the program fell in the title match the following year (2016). After so much so success early on, White realized that maintaining a championship standard takes a lot on and off the lanes. The Lady Panthers regrouped after the disappointing ending to win the SWAC’s Regular Season title in 2017 but didn’t win the tournament championship. In 2018, the stakes were even higher as the NCAA instituted an automatic bid for the conference champion after years of discussion. Unfortunately, the opportunity to earn SWAC’s inaugural bid eluded the Lady Panthers as they fell early in the SWAC Tournament. One year later, White went back to the drawing board with a brand-new roster dominated by freshmen. On paper, few people expected this year’s team to gel this quickly and resemble the teams from White’s championship seasons. After extensive time spent on team bonding early on, the team continued to improve as the year went on and the confidence level rose. After three disappointing postseasons, the weight was lifted as White hoisted both the regular season championship and tournament trophies in the same season for the first time since 2012. The tournament title also meant the NCAA auto-bid was awarded to Prairie View for the first time. “To have an opportunity to be in the NCAA Playoff and have a chance to end up in the final eight at the national championship with such a young team would be unbelievable,” he said. “ I’m already proud of what they’ve accomplished so far. I’ve told them ‘why stop and continue to make history and ride this wave as long as we can.’ I’m really looking forward to the future,” stated White. 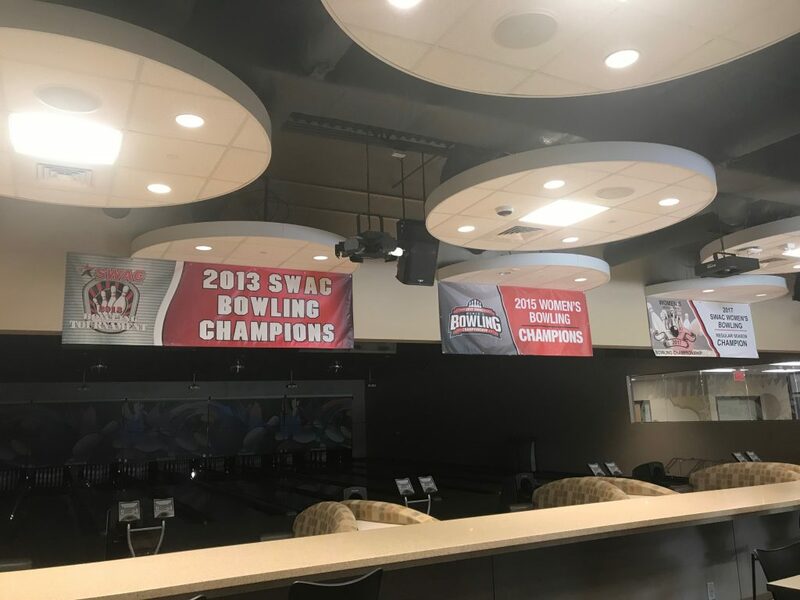 With a young but talented roster, a world-class on-campus bowling facility and a veteran head coach fighting to improve his program on a daily basis, the program will continue to grow nationally. Who would’ve thought asking a hungry PVAMU student-athlete in the early 2000s about coaching would turn into a lifetime of memories for Glenn White?